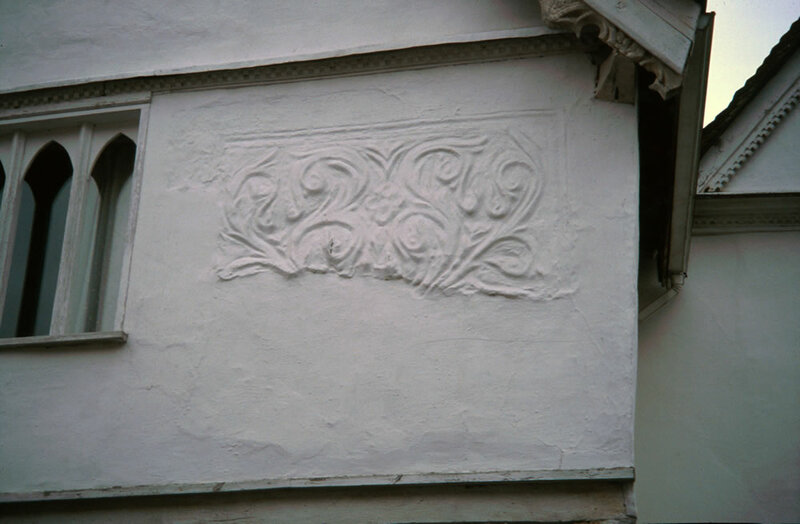 Pargeting is the traditional English trade of freehand modelling in lime plaster. These days it is most frequently seen in East Anglia, decorating the outside of houses. Before and during the Roman Empire ornamental lime plastering was well known but then during the Dark Ages the skills to create it were completely forgotten. During the Renaissance when several artists, notably Giovanni da Udine, became interested in the old skills and taught themselves how to recreate them. Stucco then became a highly fashionable state of the art plaster ornamentation for those who could afford it. In 1538, Henry VIII and Francois I of France were competing to show who could build the more wonderful palace. 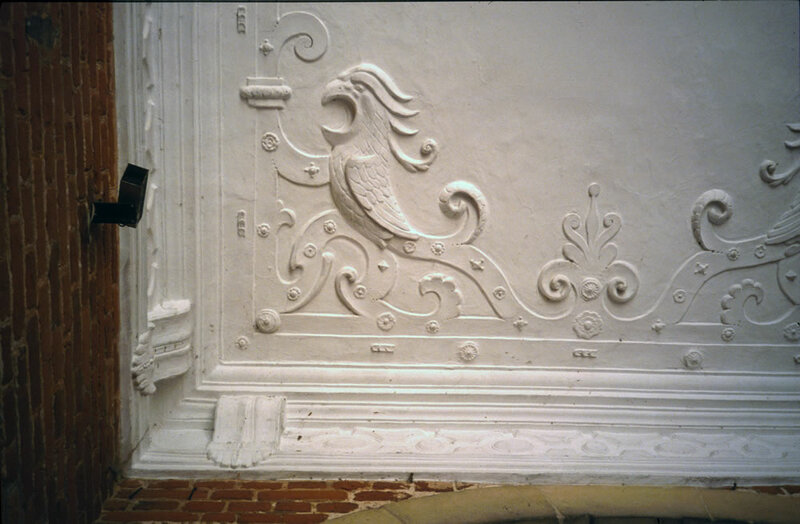 Francois I brought Italian plasterers to create ornamental plasterwork at Fontainebleu. Not to be outdone Henry VIII commissioned Italian craftsmen to model life size figures of cavorting Greek gods, goddesses, nymphs and milkmaids over the outside and around the courtyards of Nonsuch Palace. It must have been quite splendid, though perhaps rather gaudy for 21st century taste and certainly not to Puritan ideals. By the time of Charles II Nonsuch Palace had fallen into disrepair. When he gave it to Barbara Castlemaine she sold it for demolition. Whatever Henry did, his subjects wanted to do too, so an English country fashion for decorative plasterwork quickly evolved. Even the most wealthy Suffolk yeomen sheep farmer could not call on an Italian craftsman to fashion realistic human forms but they could find a local plasterer with an artistic eye who would decorate their house in the latest fashion. After the fire of London, timber framed buildings were banned from London and all new building there was in brick or stone. Not to be outdone, country squires rebuilt their houses in stone, but in some parts of the country there was no good local building stone. Instead they plastered over the old fashioned medieval timber frame and then decorated the plaster with pargeting. In England the great flourishing of lime plasterwork was from the restoration of Charles II in 1660 through to the new fashion for gypsum plaster which was led by Robert Adam from about 1860. So for two hundred years the skills of the lime plasterer were in great demand. Not only did they plaster flat walls and ceilings, but the more artistic among them created elaborately modelled ceilings and overmantels, even decorating the outside of buildings with lavish designs. The influence of neoclassicism and the industrial revolution almost killed pargeting as everyone wanted decoration to be regular and symmetrical. 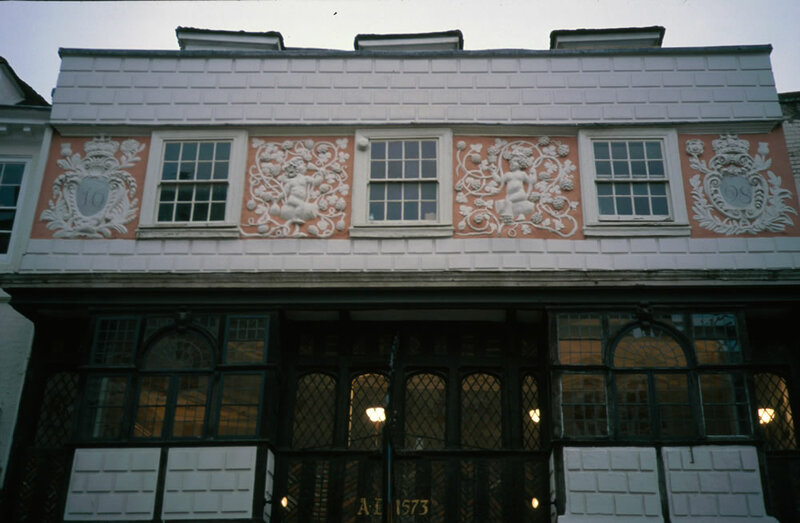 Pargeting was torn off the front of buildings and replaced by the rectangular windows and flat render of a Georgian frontage, however this was a time of great poverty for many people in Suffolk, north Essex and eastern Hertfordshire. Farmers and merchants could not afford to remodel their houses and it is here that the majority of old pargeting can be seen today. After being very unfashionable for one hundred years, in the late nineteenth and early twentieth centuries pargeting saw a revival inspired by the arts and crafts movement. Old parget was normally on a timber framed building but both arts and crafts and modern parget are often formed on buildings of block construction. 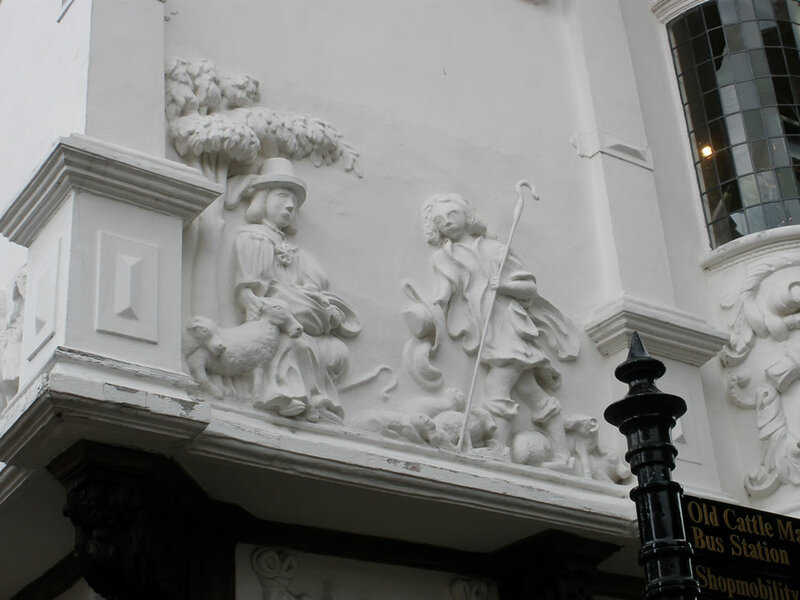 To this day the craft of pargeting has remained alive in Suffolk and North Essex where the walls of a newly built house may still be finished with a pargeted frieze or panels. More generally, in recent years there has been a reawakened interest in using pargeting where a good design can provide an unusual wall treatment which catches or distracts the eye.